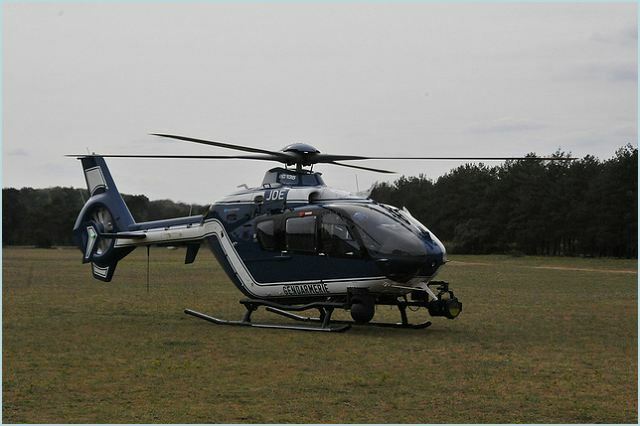 The EC135 is a twin-engine light utility helicopter designed, produced and manufactured by the French aviation Company Eurocopter. The EC135’s high endurance and extended range enables this helicopter to perform a full range of mission requirements, while carrying more payload over longer distances than any twin-engine aircraft in its class. 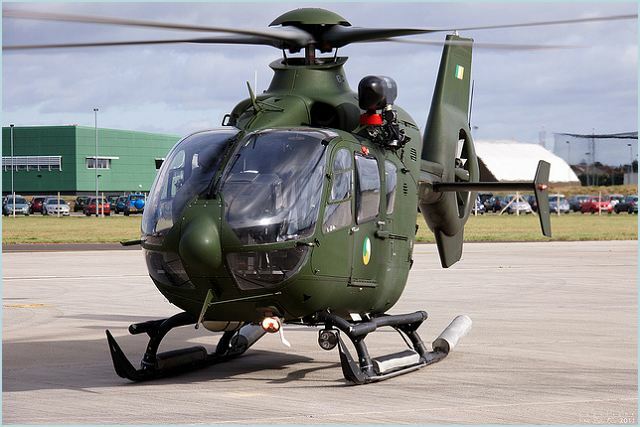 The EC135’s superior payload-range performance is further extended in 2011 with the introduction of the EC135 P2e/T2e, offering a further 88 lb increase in useful load. The first prototype made its first flight on 17 October 1988, powered by two Allison 250-C20R/1 engines. A second BO 108 followed on 5 June 1991, this time with two Turboméca TM319-1B Arrius engines; unlike later production aircraft, both technology demonstrators flew with conventional tail rotors. 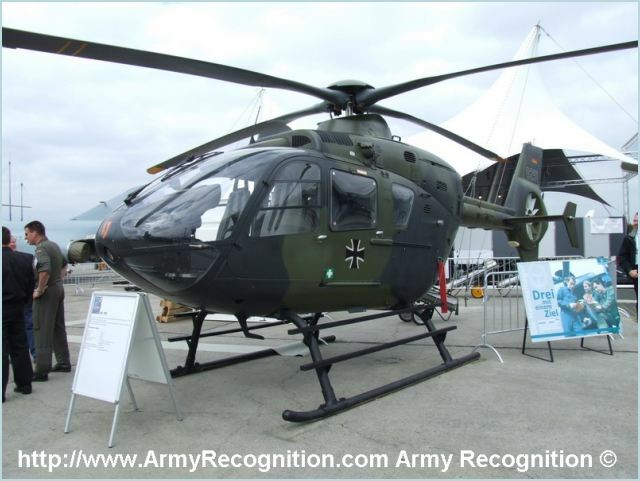 In the late 1990s, the design was revised with the introduction of the Fenestron tail rotor system, an advanced rigid main rotor, composite materials, and resonance isolation systems. In 2011, Eurocopter announced that a total of 1000 EC135 helicopters had been delivered to customers worldwide, roughly 15 years following the start of production. In 2013, it was reported that the EC135 was currently providing roughly 25% of the world's total emergency medic services flights, and that over 500 EC135s have been delivered to in an aeromedical configuration. - EC135 P1: Powered by two 463 kW (621 shp) Pratt & Whitney Canada PW206B. Later versions have the Center Panel Display System (CPDS). Initial maximum take-off weight (M.T.O.W.) of 2,631 kg (5,800 lbs), later raised to 2,721 kg (6,000 lbs) and then 2,835 kg (6,250 lbs). 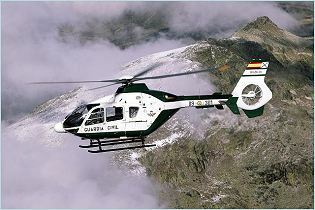 - EC135 T1: Powered by two 435 kW (583 shp) Turbomeca Arrius 2B1/2B1A/2B1A1. Later versions have the CPDS. Initial M.T.O.W. of 2,631 kg (5,800 lbs), later raised to 2,721 kg (6,000 lbs) and then 2,835 kg (6,250 lbs). 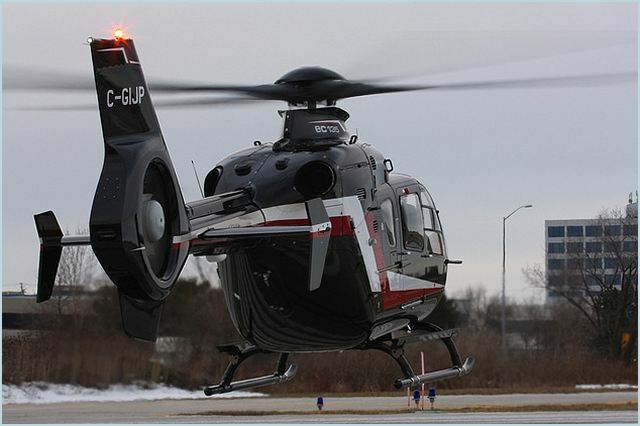 - EC135 P2: Powered by two 463 kW (621 shp) Pratt & Whitney Canada PW206B2. Increased thermodynamic and mechanic OEI ratings (128% OEI torque). Replaced EC135 P1 in production in August 2001. 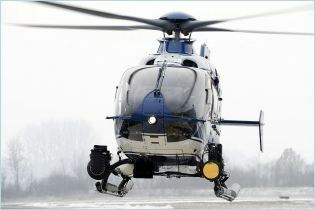 - EC135 T2: Powered by two 452 kW (606 shp) Turbomeca Arrius 2B2. Increased thermodynamic and mechanic OEI ratings (128% OEI torque). Replaced EC135 T1 in production in August 2002. - EC135 P2+: Latest production version with 498 kW (667 shp) PW206B2 (new power ratings based on a FADEC software upgrade), plus a 2,910 kg (6,415 lbs) M.T.O.W. upgrade, extended component time between overhaul (TBOs), and a change in the main transmission lubricating oil. Built in Germany and Spain. 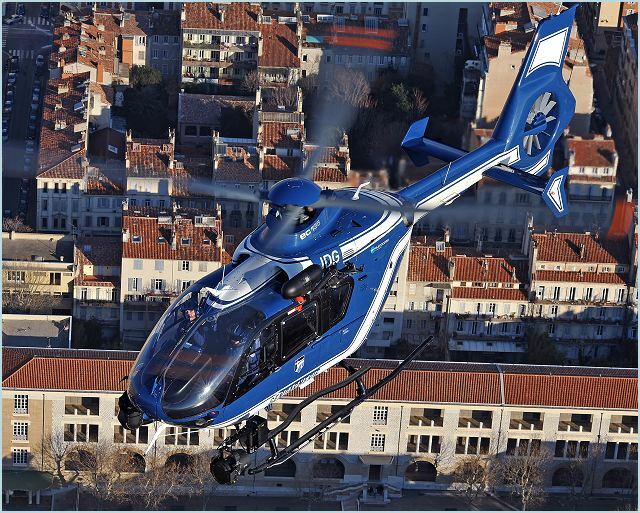 - EC135 T2+: Latest production version with 473 kW (634 shp) Arrius 2B2 engines (new power ratings based on a FADEC software upgrade), plus a 2,910 kg (6,415 lbs) M.T.O.W. upgrade, extended component TBOs, and a change in the main transmission lubricating oil. Built in Germany and Spain. 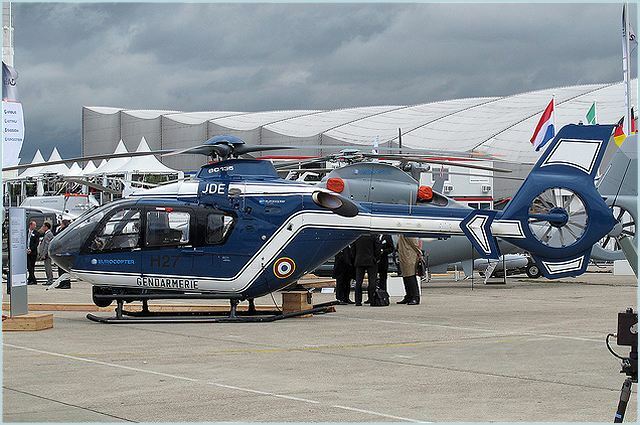 - EC135 P2i: Marketing designation of aircraft upgraded to (rather than built to) EC135 P2+ standard. 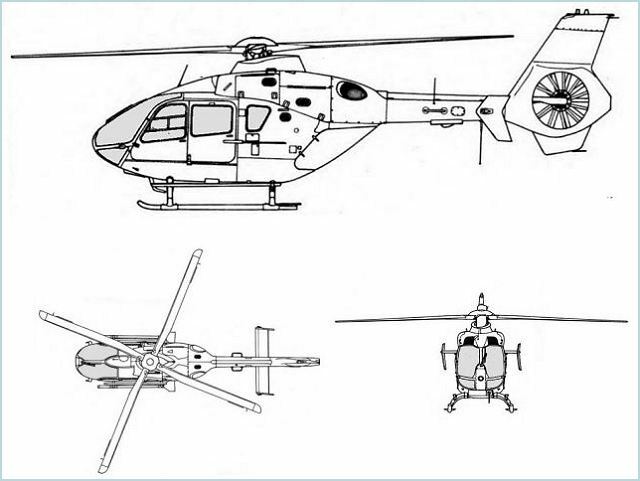 - EC135 T2i: Marketing designation of aircraft upgraded to (rather than built to) EC135 T2+ standard. The technologically-advanced EC135 helicopter combines a wide, unobstructed cabin with Eurocopter’s Fenestron® tail rotor and bearingless main rotor for excellent performance, range and payload capacity – along with low-noise operation and multi-mission capability. Oversized sliding side doors and rear clamshell doors enable fast loading/unloading of passengers and equipment, while the airframe’s high degree of crashworthiness is provided by energy-absorbing fuselage and seats, as well as crash-resistant fuel cells. The EC135’s simple design allows fast and easy maintenance, ensuring optimal dispatch reliability and lower operating costs. Its safety is enhanced by dual-system architecture, and the aircraft’s options of comprehensive suite of single- or dual-pilot IFR avionics offer all-weather reliability. Two FADEC-equipped engine options are available: Turbomeca’s Arrius 2B2 and the Pratt & Whitney Canada PW206B2. Both of these powerful, reliable turboshaft engines provide outstanding performance and vital reserves, even in one-engine inoperative scenarios, along with low fuel consumption. The Ec135 incorporates a modern cockpit and avionics – as well as Eurocopter’s Fenestron® tail rotor and bearingless main rotor – the EC135 is recognized for its high performance and outstanding maneuverability. The cabin is night vision goggle (NVG) compatible, and can be configured with a state-of-the-art avionics glass cockpit. In addition, the wide, unobstructed cabin, with its flat floor and multipurpose rails, allows operators to quickly and easily change configurations. In the United States, American Eurocopter’s EC135 is the twin-engine market leader for emergency medical services (EMS), accounting for some 60 percent of deliveries during the past several years. The EC135 is offered with a wide range of dedicated EMS interiors, which maximizes operator choice in configurations that provide ample room for single-patient or dual-patient transport. A smooth ride is ensured with the helicopter’s anti-resonance isolation system (ARIS). For off-shore service, the EC135’s panoramic visibility, exceptional maneuverability, range, twin-engine performance and safety, and large cabin make the helicopter perfectly suited for the sector’s demanding operations. Many of the top companies in the oil and gas industry utilize the EC135 for their operations. 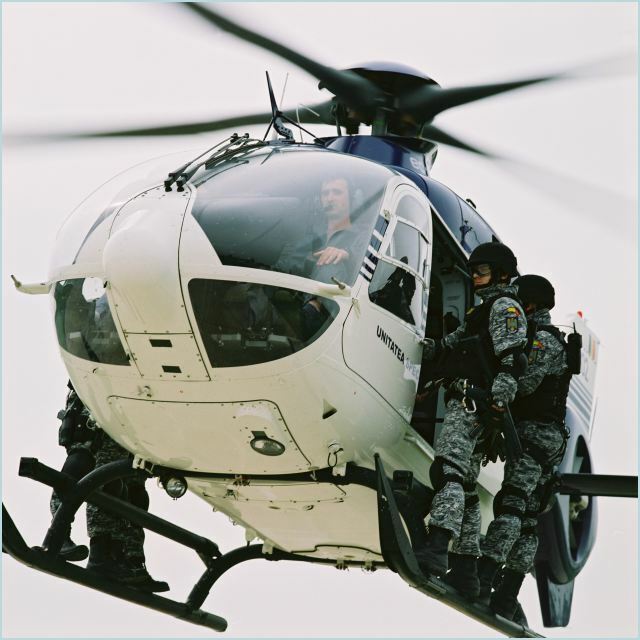 Whatever action the law enforcement mission requires, the EC135 offers the perfect solution. 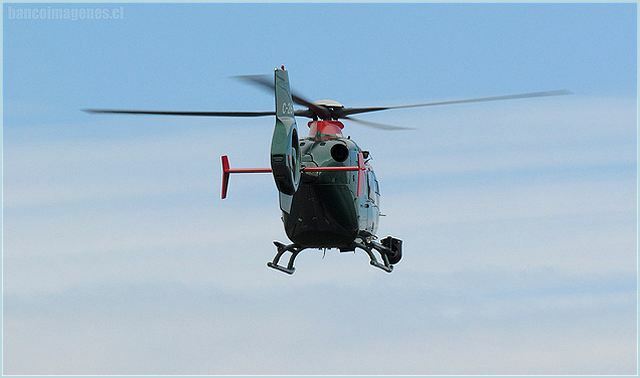 With its compactsize and shrouded tail rotor, the EC135 can land in confined areas. Its wide, unobstructed cabin offers increased visibility for observation operations. 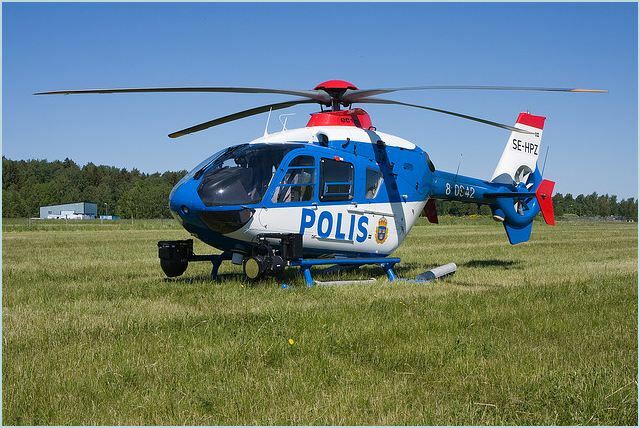 Mission flexibility, low noise, reduced maintenance, operational costs and higher availability are among the many reasons why so many police operators have already chosen the EC135 for their daily operations. Eurocopter has developed a wide range of equipment for the EC135 to meet the requirements of police forces around the world.